Music has been a part of life since ancient times. It impacts our mind and emotions. That’s why people listen to sad songs when they feel low, and party songs when they are happy. Have you ever thought about it? Why don't you like sad songs when you are in a party mood? There are deep psychological reasons behind it. A sound therapist has in-depth knowledge of the techniques and uses specific instruments and sounds to heal us from mental, emotional and physical complications. According to a sound therapist, the healing process is based on the musical vibrations and tendencies of the human body. You might have studied about resonance, and how each object vibrate. 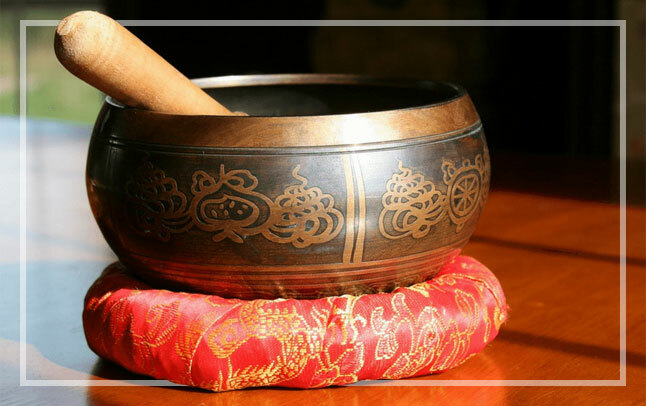 So, the therapist uses certain instruments such as healing bowls, tuning forks, bells, etc. The patients have to set their bodies free and move it along with these vibrations. The therapist in the session sets these instruments to various frequencies and volumes and asks the patient to relax. The therapy might include body massage, bath, and music. These vibrations could be high and low at times. The effect of the music is so high that even deaf can feel these vibrations. Sound healing therapist massages the body, especially the parts that hold most emotions, fears, and traumas. You already know that objects do not have sound. They only have resonance. We experience certain emotions after listening to music is because of our sentiments. As I have mentioned in a previous blog, the science behind sound therapy is that music releases various chemicals in our bodies. The therapist uses different sounds that release dopamine. Dopamine is a happy chemical that lets us feel positive. It also releases oxytocin which also is a pain killer. So, we can assume that music has the power to heal our pains and make us happy. The essential idea behind Sound therapy is resonance. Everything in the universe including human has its resonance and vibrations. According to this theory, people fall ill if their bodies' natural frequencies are out of tune. So sound therapist lets us lost in the music and move the body along with the vibrations which eventually brings back the natural balance. The healing sessions work to unblock several points of our bodies, and thus recover us from the illness. If you too are struggling with emotional traumas, then you should directly connect with the expert and trained sound therapists at Vishuddhii, You would love to attend the sessions where you would be able to learn yourself. Connect with us if you have any doubts about the therapy and its benefits. People have been meditating since ancient times. It fills us with peace and harmony. Meditation helps us avoid distractions and enhances our focus. Meditation allows us to focus on our breath and another major point to control our heartbeat and blood pressure. That’s how meditation helps us cure physical illnesses. Apart from this, meditation allows us to think. After a deep session of mindfulness meditation, we get to learn about our weaknesses, desires, and distractions. It will eventually help us avoid distractions that hinder us from achieving the long term goals. We can be happy, positive, confident and more focused when we are free from distractions. It would increase the presence of mind and work quality. The benefits of meditation are not hidden; everyone can take advantage of it if s/he has proper guidance. Vishuddhii has initiated to spread awareness. There are numerous techniques of meditation for different people, and you must choose the one you can start with. Mindfulness Meditation - If you wish to enhance your concentration, attention, and presence of mind, then you must practice mindful meditation This type of meditation does not expect you to avoid distractive thoughts. On the other hand, you must record the topics that usually distract you. You have to allow these thoughts to learn about your weaknesses without getting lost in them. So, you must allow distraction, being aware that they are distractions and that you have to work upon them. Spiritual Meditation - This is the most difficult form of meditation as people have to forget all the earthly concerns in order to experience the divine presence. It is suggested to people who have chosen the spiritual lifestyle and have denounced the earthly desires and distractions for eternal peace. The person reaches to a mystical place and experiences a connection with the god. Focused Meditation - During this meditation, all we have to do is to focus on a specific point, and stop thinking about other things. People need to use either of their senses for the concentration. For example, the person could use his eyes to stare at the flame of a candle. Use the ears to listen to some spiritual song, fingers to count beads on a mala. The best way to try focused meditation is to focus on the breath, which will enhance the 6th sense. Mantra Meditation- It has been mentioned in Hindu and Buddhist religions. In this type of meditation, people need to chant a sound, word, or phrase time and again. The concentration should be so deep the speaker gets lost in the words and melody. This type of meditation is used to clear the vision and reveal the actual potential. Metta Meditation- Another name for Metta meditation is loving-kindness meditation. The aim of this meditation is to transform the one into a kind and compassionate person. It is one of the Buddhist techniques of meditation. People who are frustrated with their lives and surroundings should practice this type of meditation. It helps them become more caring and loving. After practicing it, you will start accepting our enemies and challenges. There are no doubts that Meditation is necessary for our physical, emotional and mental well being. Still, people fail to practice it on a daily basis because they don’t have exact information about meditation. They are only aware of a few types of meditation and often try the spiritual or focused meditation which is not easy for beginners. At vishuddhii, we inform you about different types and techniques of meditation and offer a calm and soothing environment where you can better explore yourself.